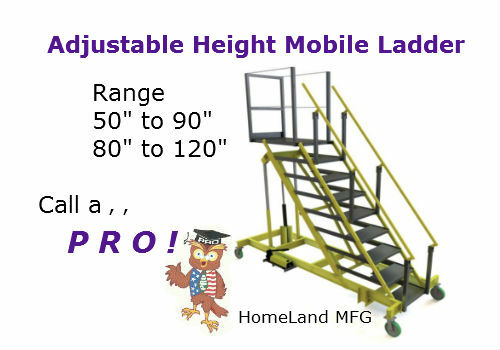 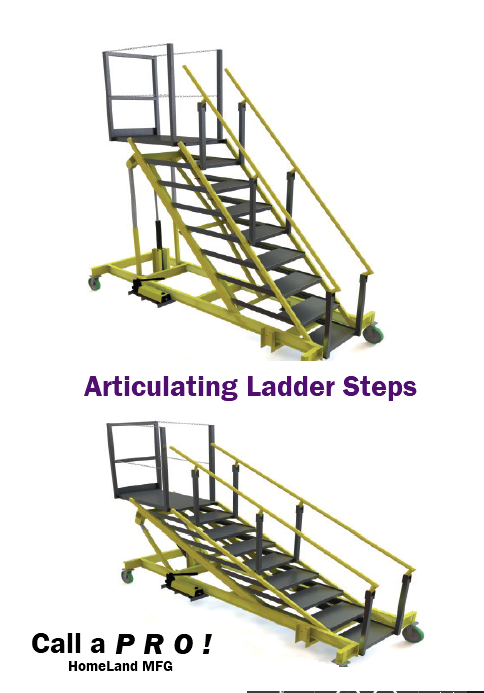 These adjustable work platforms are designed to work at multiple heights. Available are a Manual Hydraulic Pump or Shop Air Powered Hydraulic Pump systems. 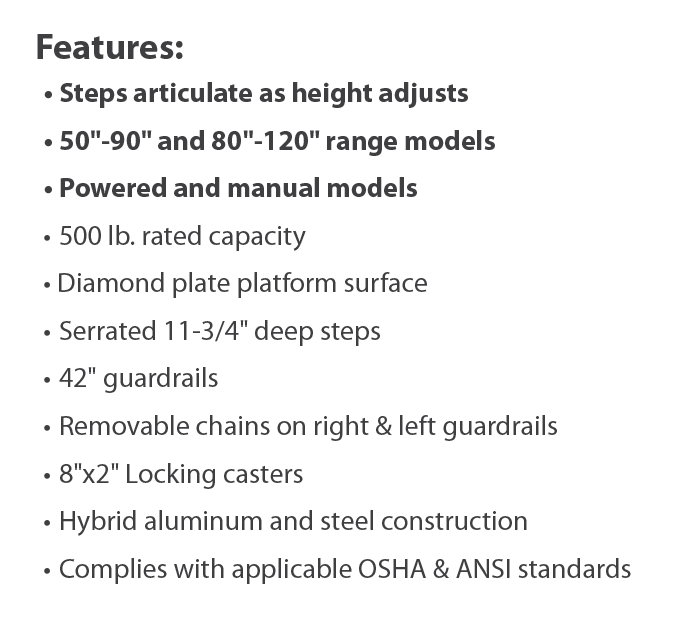 The ALS5090 and ALS80120 have a stair tread that articulates as it adjusts to all heights.